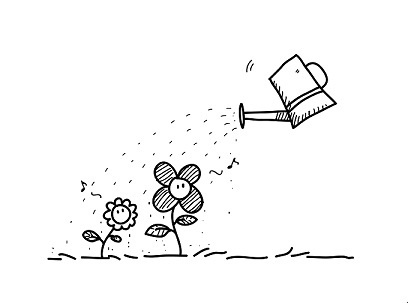 You are probably using HubSpot to build your lead nurturing campaigns. That's great. But effective lead nurturing is not just about using the best marketing automation software available. Don't forget to address these business processes as you build out your campaign. Does your lead nurturing campaign align with your buyer personas? For example, if you're in the education space you may have a Superintendent persona. Superintendent personas may have pain points related to budgets, testing results and cultivating education outside of the classroom. Your lead nurturing campaign to your Superintendent should weave in those themes. Talk to your sales team as you build out your lead nurturing campaign. They'll be familiar with where prospects get stuck and offer insight into the language or content you could include that will help prospects get 'unstuck.' Maybe you're selling into Human Resources in an organization, but the software you sell ultimately needs buy-in and support from IT. A lead nurturing campaign to HR managers should have content focused on selling the solution to IT before seeking CEO or executive management approval. What are the most frequently visited pages on your website? Or what frequently asked questions do prospects have? FAQs or frequently visited pages offer clues as to the type of content to include in your lead nurturing campaign. If a common question is 'How long does it take to recoup my initial investment in your company's software,' be sure to include a CTA to an ebook on ROI in a lead nurturing email. You'll want to focus your campaign differently based on the stage your prospects are in. Moving a prospect from Consideration to Decision requires a bit more oomph. You're essentially looking to set up a call or consultation and seal the deal. This may even be a good time for the sales team to call on a warm lead and elevate communication from email to verbal. Or at least leave a voicemail. Start with the goal in mind. Is the goal a sale? Or is it to move a prospect from Awareness to Consideration? Each of these end points require different types of content and different sorts of triggers. What value can you provide through the course of your lead nurturing? A checklist, a template, a guide to cost of switching from one software to another? Can you offer a free trial, a free sample, a free consultation? The more value you provide before the sale, the more likely you'll close the sale. Finally, once you have your campaign up and running,don't hesitate to tweak it. If you see leads getting stuck or dropping off in certain places, change a subject line or content within the campaign to help drive leads through the entire campaign. These aren't by any means all the factors to consider in the creation of a lead nurturing campaign. But they'll get you headed in the right direction.